Anekdoten’s first release in three years finds them on familiar ground. In the 90s they pioneered combining alt rock grunge with the heavy prog of 70s King Crimson. They’re back at it here, though still pushing forward into new territory. Guitarist/vocalist Nicklas Barker’s anti-guitar hero approach packs tons of feeling without ever consciously emoting. Bassist Jan Erik Liljeström shares vocal duties and his bass work is prefect to the task at hand, whether laying down soft grooves or grinding out the jams with drummer Peter Nordins, as on the opener “The Great Unknown.” And of course there’s Anna Sofi Dahlberg whose understated performances on various vintage keyboards and cello — along with her physical charms — have made many a prog boy weak in the knees. 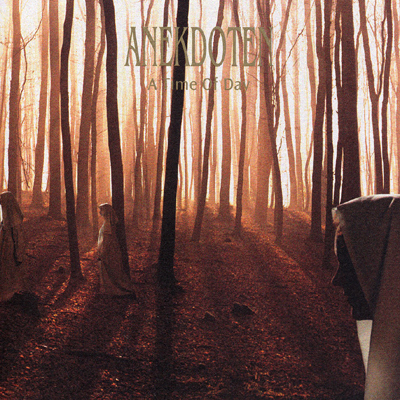 Anekdoten have always been about intensity, both implied and overt and this album is as good an example of how they pull this off as any. They’re masters at the art of shifting on a dime from brooding solemnity to full throated and grinding rock, though they can also take it down with 12-string and VCS synth musings like “Every Step I Take” (sounding like Pink Floyd) or the lazy Mellotron-flavored waltz, “Prince of the Ocean.” Canterbury flavored prog is even evoked in the rocker “In for a Ride” which nicely expands the arrangements into new frontiers. As far as I’m concerned it all works and whether you’re a long time fan or new to the band this one is a winner. Recommended.